DAVOS, Switzerland -- Russia is hurting economically and Ukraine knows it. Ukraine is suffering massive financial stress as well, but it has the International Monetary Fund (IMF) and the European Union (EU) on its side. Ukrainian President Petro Poroshenko speaks during his annual news conference in Kiev, Ukraine, Thursday, Jan. 14, 2016. Poroshenko's comments come a day after negotiators in the Belarusian capital Minsk agreed to make new efforts to enforce the shaky cease-fire. For the talks, Russia sent its new envoy, former parliamentary speaker Boris Gryzlov, who made a rare visit to Kiev earlier this week. Russia doesn’t, and Russia is running out of money. Sensing Russian economic weakness, Ukraine has decided to push to get it all back, Crimea and East Ukraine that is. Ukraine plans soon to launch a fresh diplomatic initiative to recover the Crimean peninsula from Russia which annexed it in 2014, American-born Finance Minister Natalia Yaresko told Reuters on Wednesday. “We don’t agree that Crimea has gone. This will be the year we really begin pressing forward on a process to return Crimea,” Yaresko said on the sidelines of the World Economic Forum in Davos. In East Ukraine, Russia seems to be pushing for a solution to a very expensive problem. Since Kiev halted government payments to citizens in the region, Moscow has picked up the tab. These transfer payments have become a burden the Kremlin no longer wants to bear. The social payments are in addition to military support. The fact that Putin insider Vladislav Surkov recently met with Victoria Nuland in Kaliningrad to discuss East Ukraine and “brainstorm” for solutions, shows the Kremlin is serious about ending the conflict and the drain on the Kremlin’s resources at a time when they can least afford it. “That is was Surkov, and not [Deputy Foreign Minister Grigory] Karasin — Nuland’s counterpart — is very significant,” said foreign affairs expert Vladimir Frolov. “Surkov is a key decision-maker on the Donbass with the authority to make tactical adjustments to the Russian position,” reports The Moscow Times. 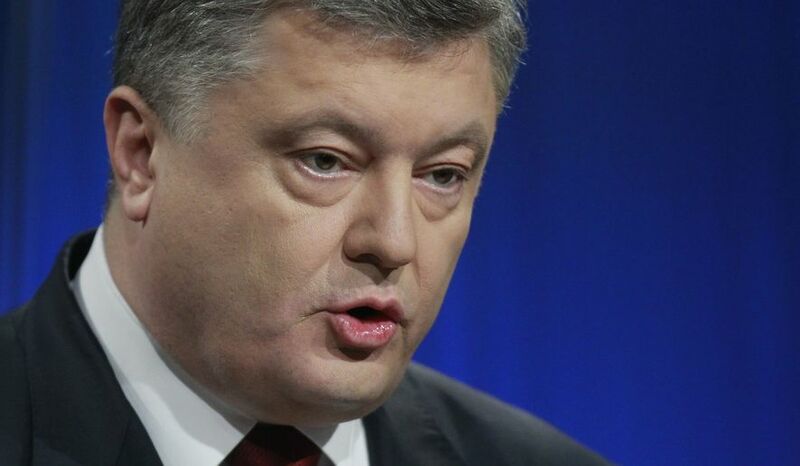 In his first press conference of 2016, Ukrainian President Petro Poroshenko said he expected territory in the east held by Russian-backed rebels to return to Ukrainian control before the end of the year. At the same time, he said he hopes to set into motion mechanisms that would lead to the “de-occupation” of Crimea, which Russia annexed in 2014. Speaking on the issue of Crimea, Mr. Poroshenko said he would propose “setting up an international mechanism for de-occupation of the peninsula” – an effort in which he plans to engage the European Union and the United States, reported Voice of America. “He [Putin] understands the need to soften Russia’s strained relations with the European Union, eventually leading to easing and then lifting of the EU sanctions on Russia and then changing the overall climate in the EU-Russia relationship,” said Dmitri Trenin, director of the Moscow Carnegie Center. The sanctions are the key issue. Russia could have most likely withstood the economic pressure put in place by the West, due to Russia’s actions in Ukraine, with the price of crude oil at $100. However, with the price of a barrel of oil headed to $20, there is no way the Russian economy can survive as its currently structure long-term in this environment. In light of all of these geopolitical developments, Ukraine has decided to go on the offensive. In short, Ukraine wants its original country back. It is quite possible Kiev could get what it wants in East Ukraine. However, the Crimean Peninsula is another story altogether. The Putin government will never relinquish control of this territory. Putin has spent two years spraying the Russian public with a firehose of nationalist propaganda over the glories and historical significance of Crimea returning to Russian control. Losing this gambit would mean nothing less than the end of the current Kremlin regime. It’s possible Ukraine is just using the Crimean agenda as a negotiating tactic against Russian threats to sue Ukraine in a British court of the $3 billion bond payment Kiev recently defaulted on. However, dreams of a Ukrainian Crimea once again are just that — dreams. Russia will never let that happen.